A trip to Paris, the city of lights, love and fashion, is always an exciting experience that you’ll treasure for the rest of your life. 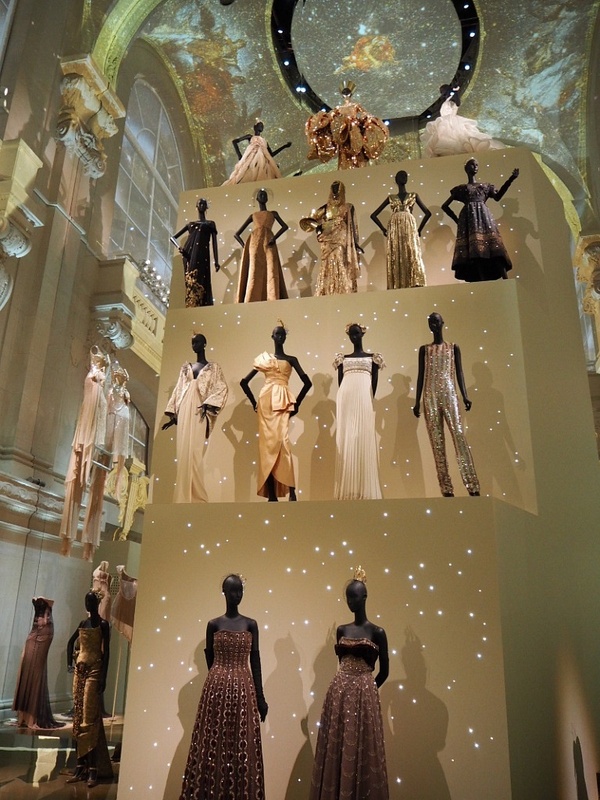 However, if you love couture and the magic it evokes, this summer you have one more reason to jump on a plane to the French capital: fashion house Dior is celebrating its 70th anniversary with an exclusive exhibition staged at the Musée des Arts Décoratifs in Paris titled Christian Dior: Designer of Dreams. 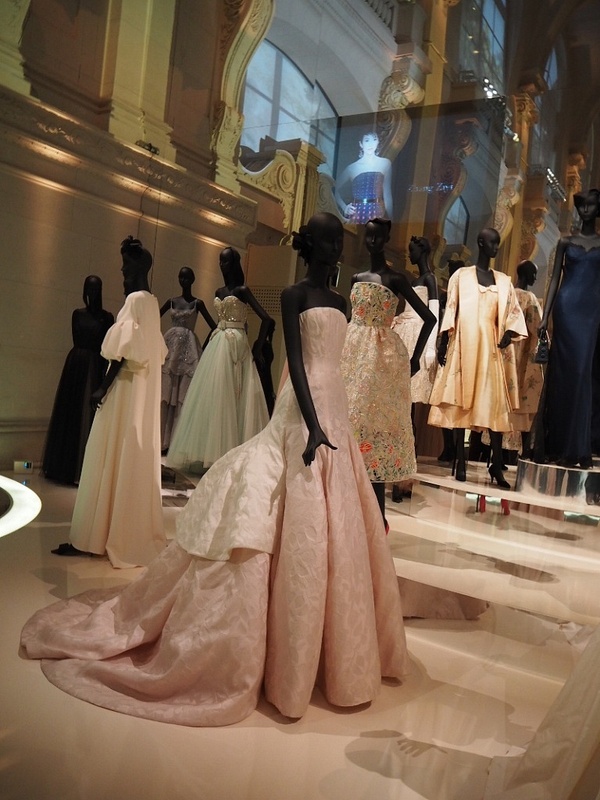 The last time Dior hosted such a retrospective of its history was in the far away 1987 – and even then, the exhibition focused only on the years between 1947 and 1957. 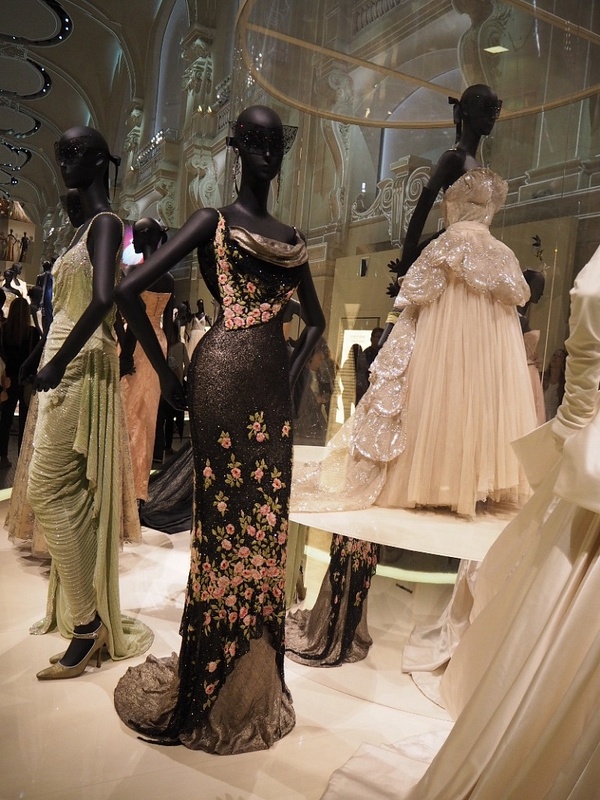 This is, therefore, the very first time the general public can closely admire more than 300 of the finest couture and ready-to-wear creations ever sewn, which were previously glimpsed only on red carpets, royal weddings and exclusive behind-the-scenes events. 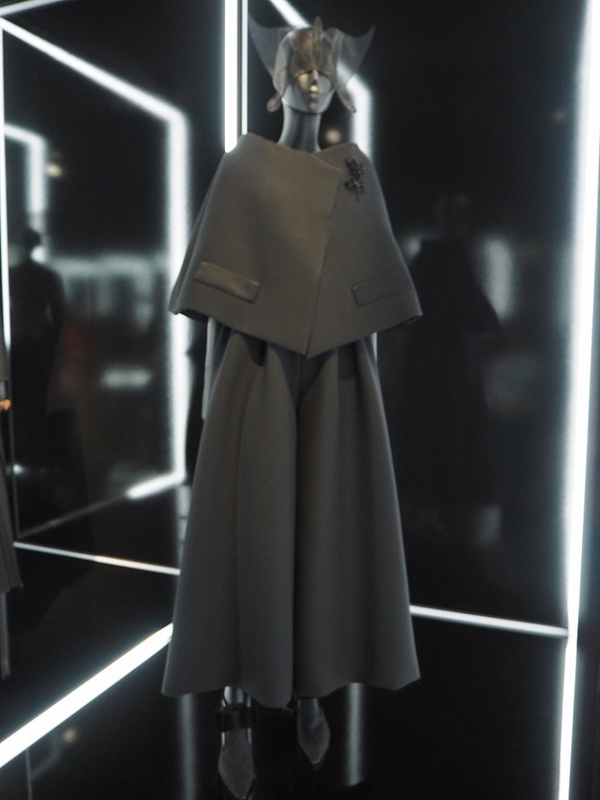 At the very entrance of the exhibition the Bar jacket, Dior’s most admired contribution to the fashion world, takes pride of place, as if to announce to the viewers that they’re about to enter a fashion temple. The exhibition then begins with a 1947’s classic red gown with a wasp waist and full, pleated skirt: this is Dior’s “New Look,” the revolutionary silhouette that catapulted Christian Dior to fame and changed the fashion world forever. From there, you are gently led into a gallery that takes you through every decade of the Maison’s history, revealing the geniuses of the various creative directors that have reinvented fashion over and over again, from Yves Saint Laurent to John Galliano and the current holder of the position, Maria Grazia Chiuri. Although all these designers have put their own spin on the Maison’s aesthetic, the founder’s designs are strategically placed throughout the exhibition, as if to remind the viewer that his followers have remained faithful to his original vision. 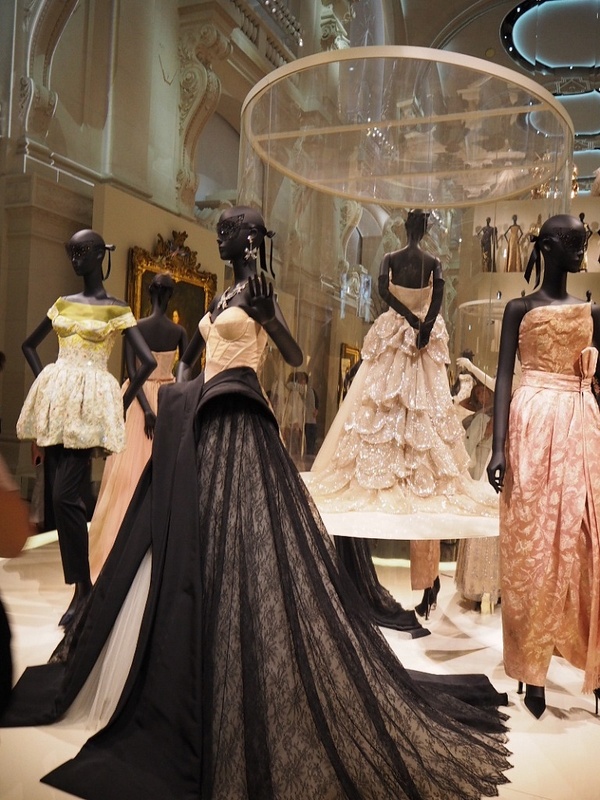 The whole spectacle culminates into a ballroom where you can feast your eyes on a towering installation of ball gowns worn by famous women, including Diana, Princess of Wales, Elizabeth Taylor and Charlize Theron. The bright light above replicates the Hall of Mirrors in Versailles, bathing the gowns in the glory of the past and present – this was by far my favourite part of the exhibition. Just as interesting was the atelier set-up, where you can watch professional seamstresses bringing couture gowns alive right before your very own eyes. 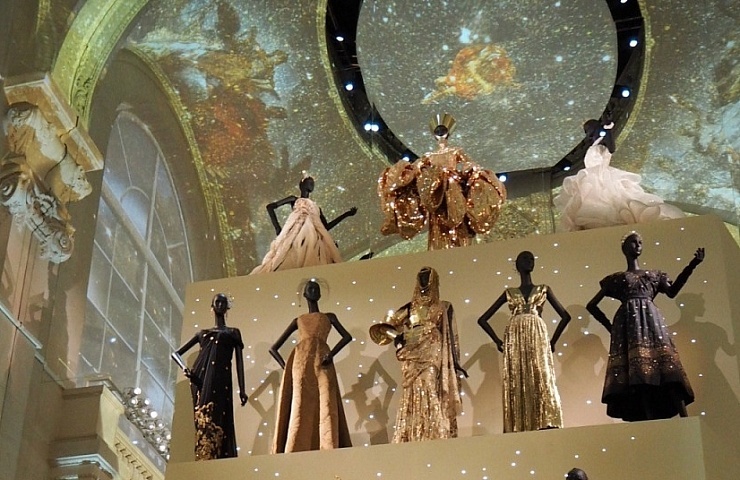 Beautiful couture ball gowns and bar jackets aren’t the only works of art on display. 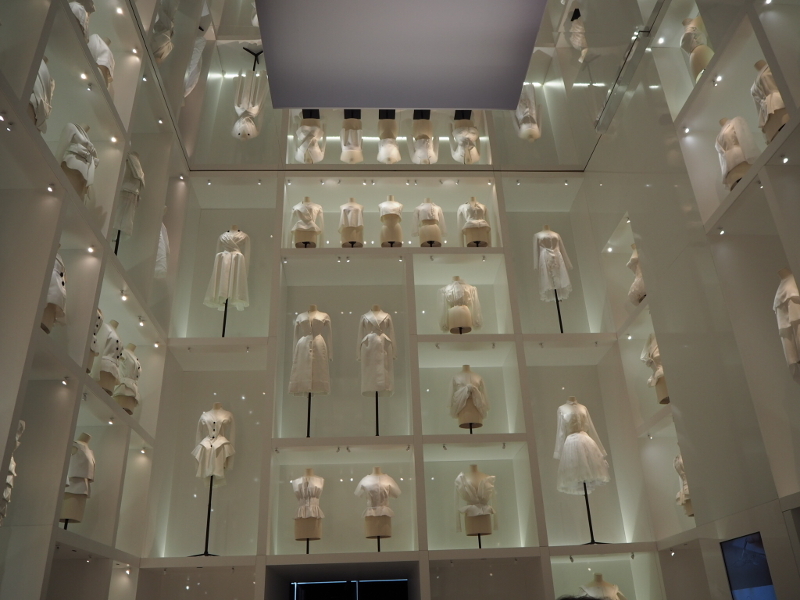 An entire room is dedicated to Dior’s personal life: here, you can have a look at the sketches, letters and personal trinkets that belonged to the designer. 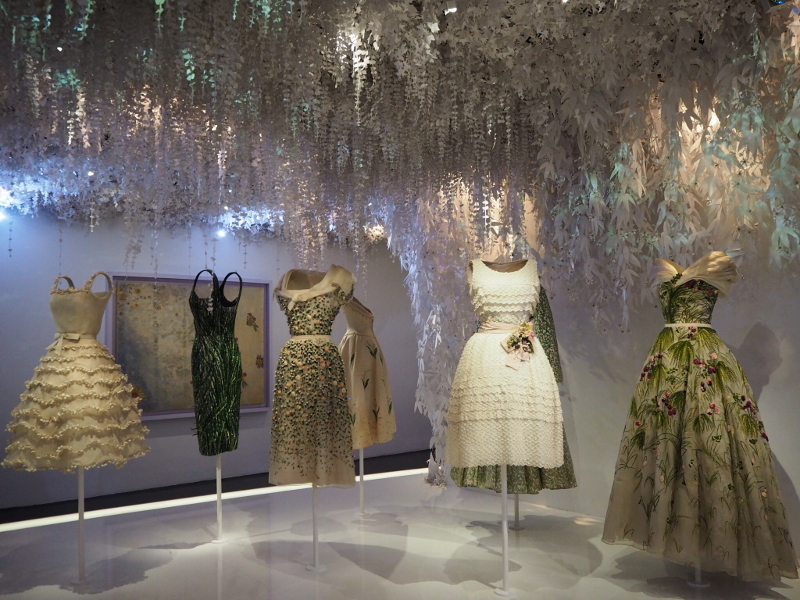 This room takes you directly into a mock art gallery that showcases the art that heavily influenced Dior’s work, followed by a mock street and garden that recreate the environment he used to live in – in short, the viewer has the opportunity to immerse herself fully into the world of Dior. 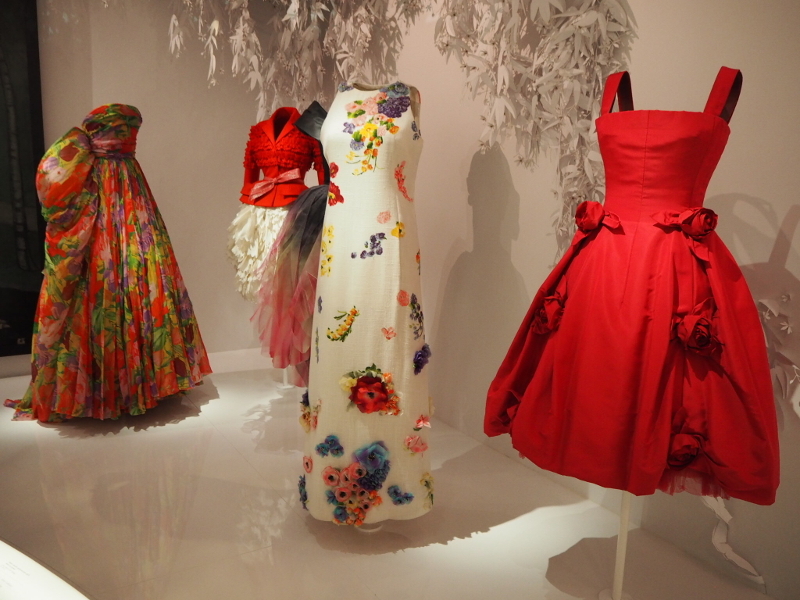 Christian Dior: Designer of Dreams runs until January 7, 2018. It is well worth a trip!